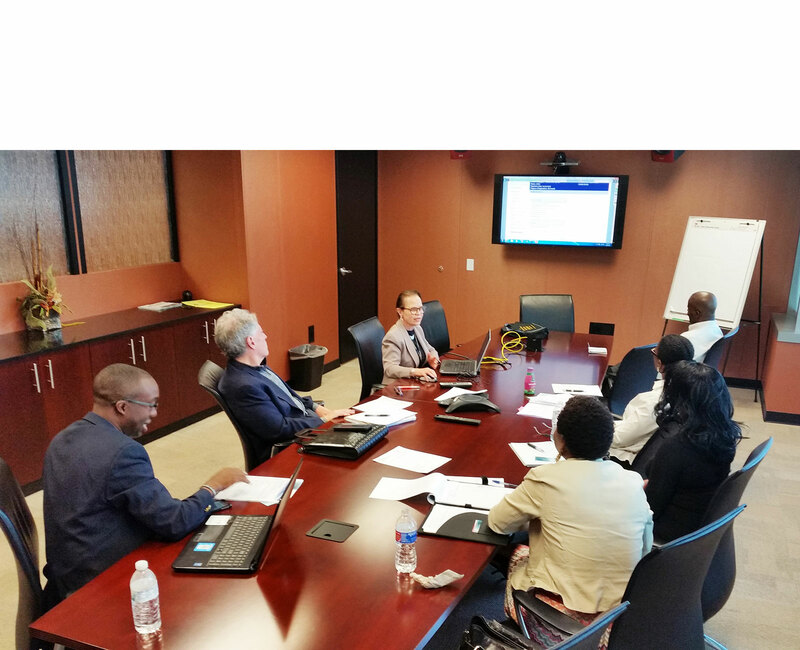 The General Services Administration has officially announced the awardees for the Alliant 2 Small Business contract vehicle, dropping three contractors since the pre-award notice in December but adding four more. The 10-year $15 billion contract gives agencies access to pre-vetted IT services companies—versus the IT commodities on IT Schedule 70. The vehicle is the small business companion to the $50 billion Alliant 2 Unrestricted which was awarded in November. GSA officials intended to award 80 spots on the small business vehicle but allowed for a tie in the final position bringing the total to 81. Almost 500 small business vied for the spots. It’s been just a few weeks since the federal government’s buying hub awarded 61 businesses spots on a $50 billion tech contract, and one research and analysis firm is already predicting which contractors may snag the most business. The General Services Administration’s Alliant 2 governmentwide acquisition contract pre-approves certain vendors to sell IT services to government. The companies that won spots were selected to emphasize emerging technology such as artificial intelligence, according to the agency. But only a few of them, potentially established contractors such as Lockheed Martin, will “end up winning most of the work,” according to a ranking by Govini. They’ll be competing not only on price, but also past performance and their ability to integrate cloud, data analytics, cyber, connected devices and artificial intelligence into agency contracts. The federal government is likely to award around 80 companies a spot on a massive contracting system approving certain IT companies to sell to government. Alliant 2, known as a “Government-Wide Acquisition Contract,” is managed by the General Services Administration. Last month, GSA made awards on its larger $50 billion IT GWAC, with a special emphasis on companies selling emerging technology such as artificial intelligence. The Alliant 2 small business contracts are worth up to $15 billion, with a five-year base and five-year extension option. GSA on Thursday published a pre-award list of businesses likely to get a spot. Several companies are protesting the Alliant 2 contract awards made earlier this month by the General Services Administration. Thus far, Capgemini Government Solutions, Harris IT Services Corp., Compuline International,Kratos Technology & Training Solutions and The Centech Group have filed protests with the Government Accountability Office. Washington Technology first reported the protests, which could mount in the coming days. More than 160 companies bid on the 5- to 10-year contract that federal agencies will use to purchase next-generation networking and other technologies, but GSA only made 61 awards. Companies have up to ten days following a GSA debriefing to file a protest. If 2016 was the biggest year for federal IT contracts in a decade, 2017 might well be the most competitive. On the backs of several high-ceiling governmentwide contracting vehicles, approximately $200 billion in IT contracts hit the street last calendar year, spread across 300 various opportunities, according to the contracting experts at Deltek. Two of those opportunities—the General Services Administration’s Alliant 2 and Enterprise Infrastructure Solutions—had a collective ceiling of more than $100 billion, but those types of opportunities don’t come around often. 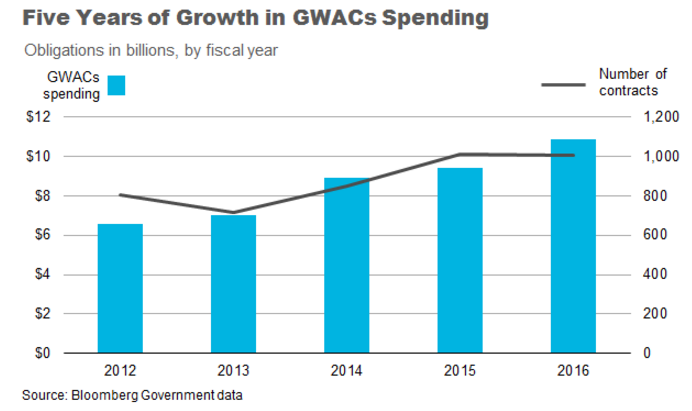 Federal information technology spending on government-wide acquisition contracts, or GWACs, topped $10 billion for the first time in fiscal 2016, Bloomberg Government data show. The government spent $10.9 billion on IT products and services using GWACs in the fiscal year that ended Sept. 30, up from $9.4 billion in fiscal 2015, and the fifth-straight annual gain. 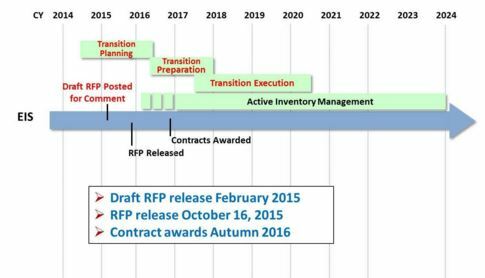 This year is a big one for federal IT contracts. The top two contract vehicles to be awarded within the next year, the General Services Administration’s Enterprise Infrastructure Solutions (now out for bid) and Alliant 2, have a collective ceiling value of $100 billion. Toss in close to a dozen more contracts with potential multibillion-dollar ceilings, and you’ve got a particularly active – and exceedingly important – year ahead for federal agencies, contracting officials and competing contractors. 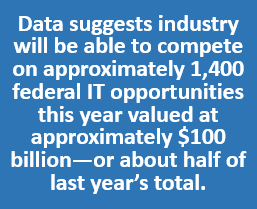 “This is the biggest year for federal IT contract vehicles in a decade, and when the dust settles by the middle of next year, the playing field will be set for the next decade in IT services,” said Brian Friel, principal of One Nation Analytics LLC, in an interview with Nextgov. Also see: Five charts that show where the federal IT budget is going next year.